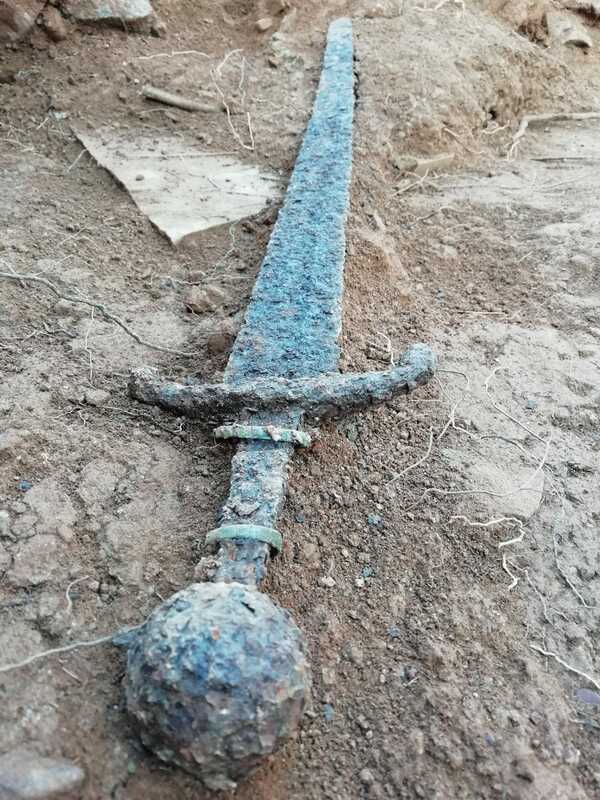 Archaeologists have unearthed a medieval sword in excellent condition at the Castle of Aín in the Spanish region of Castellón. It is three feet long with a five-inch guard and a spherical pommel. A central groove runs down the blade and two bronze rings are riveted to the hilt. 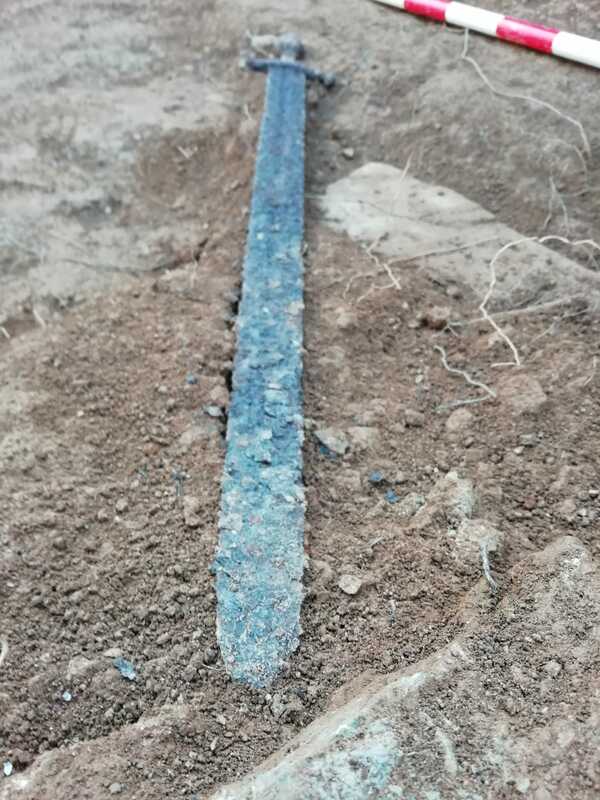 Its type and archaeological context date the sword to the 14th century. [A]rchaeologists discovered the sword under a mortar floor in a large room with a hearth and a work bench. 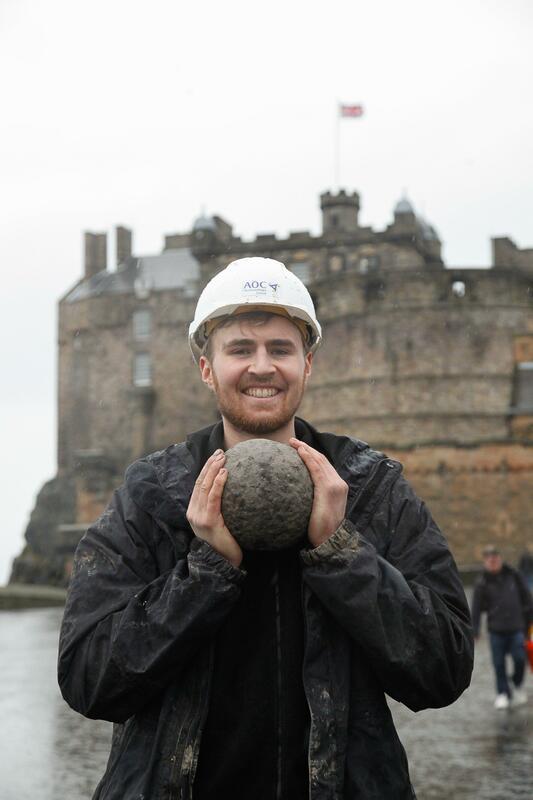 They made the discovery while they were working on their second phase of a project aimed at strengthening the southwest sector of the castle wall. 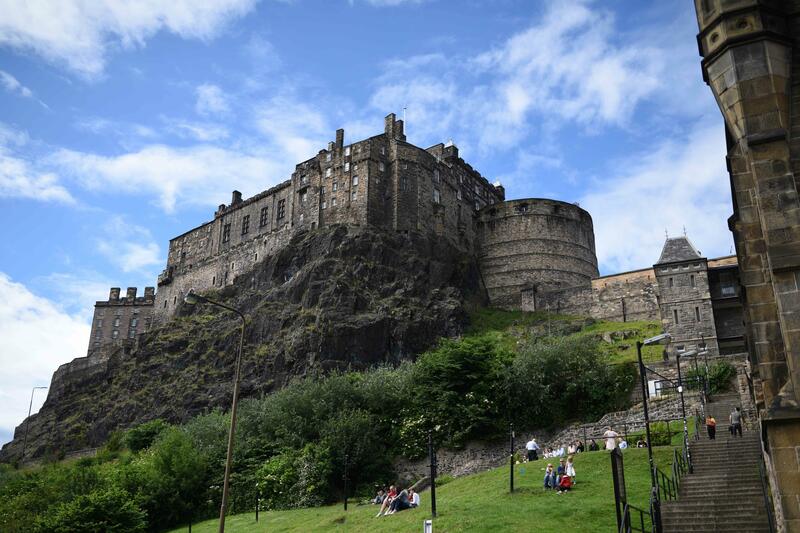 This is meant to stop the deterioration of the monument and guarantee its stability, with the hopes of making the castle a first-rate historic site. Perched in the craggy foothills of the Sierra del Espadán, the Castle of Aín was built in the 13th century by the Moorish rulers of the Taifa of Valencia. It would not stay in the hands of its builders for long. The taifa and castle were conquered by James I of Aragon in 1238. Relations with the conquered Moors were not peaceful, with numerous internal revolts and reconquests of the region by two different Muslim dynasties. After the conquest of Valencia, James I signed a treaty with his own son-in-law, the future Alfonso X of Castile, divvying up the conquered territories, but it took years for the both parties to iron out the thorny issues. A century later, with the Hundred Years’ War raging and external alliances driving conflict, the uneasy treaty of 1244 fell apart. The War of the Two Peters, in which Peter of Castile and Peter IV of Aragon duked it out over their shared border for 20 years (1356-1375) with few gains made and none kept, ended in a stalemate. The Castle of Aín took heavy damage in the fighting. After the unification of Castile and Aragon and the final defeat of Muslim forces in the 1500s, the castle’s strategic importance waned and there was little incentive to rebuild. Today it is a ruin. A few defensive walls still stand, a tower, a cistern, an inner drawbridge over a moat. 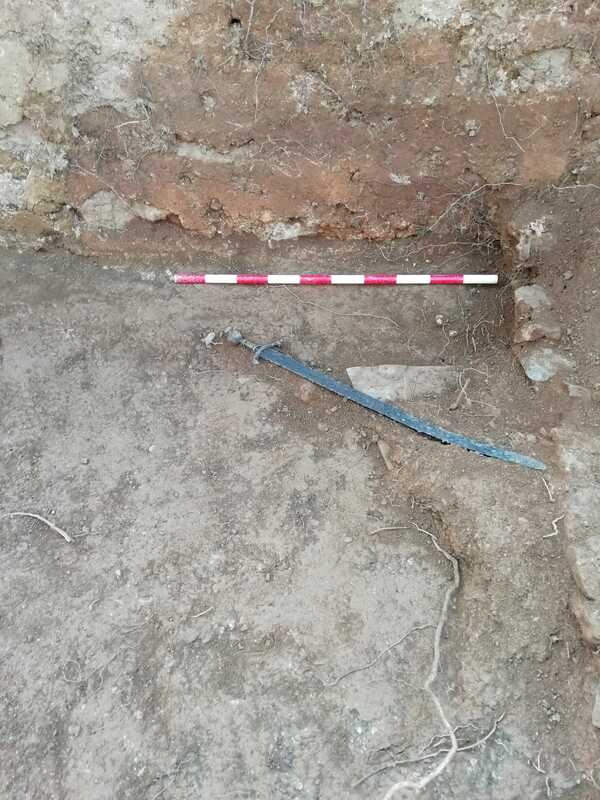 The government of Catalonia and the Aín City Council are funding the excavations and structural reinforcements that will stabilize the dilapidated remains. 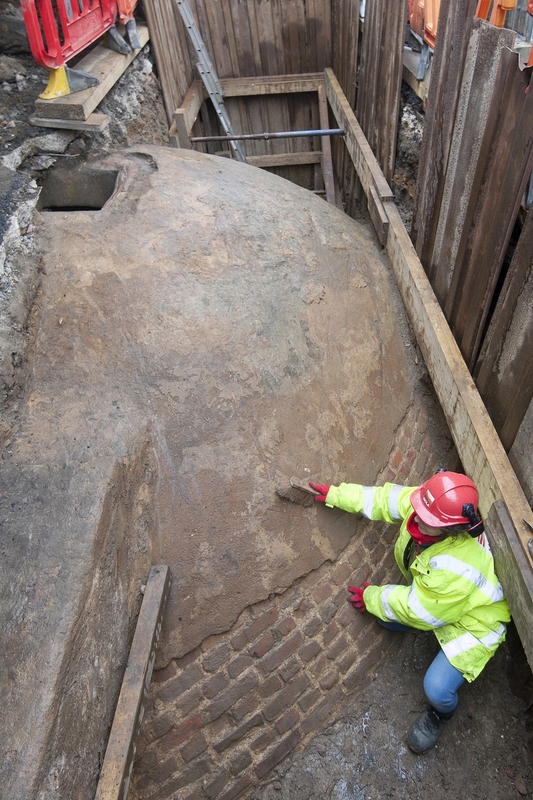 A large ice house from the late 18th century has been unearthed by buildings archaeologists in central London. 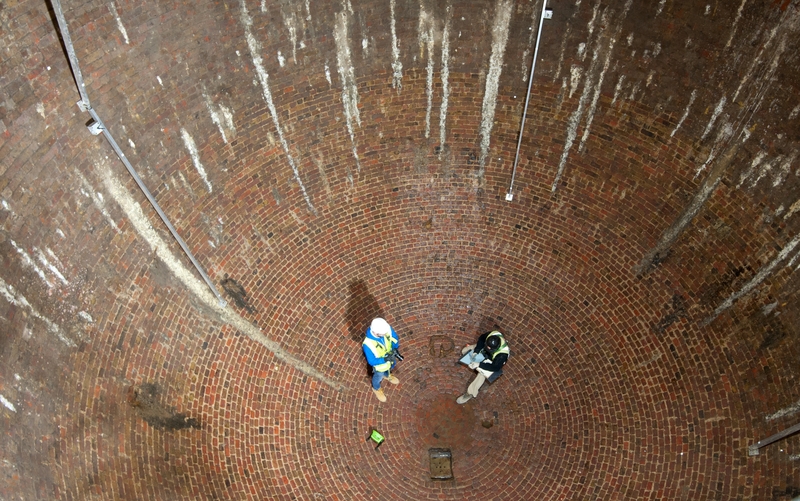 Discovered off of Regent’s Park, the Ice House is more than 24 feet wide and 31 feet deep. It is an egg-shaped cupola made of red brick and is in outstanding condition. Even the entrance passage and vaulted antechamber survive intact, unmolested by active construction of massive buildings in the early 19th century and the destruction of a great deal of London during World War II. In the 1820s the Ice House was used by pioneering ice-merchant and confectioner William Leftwich to store and supply high quality ice to London’s Georgian elites, long before it was possible to manufacture ice artificially. It was extremely fashionable to serve all manner of frozen delights at lavish banquets, and demand was high from catering traders, medical institutions and food retailers. 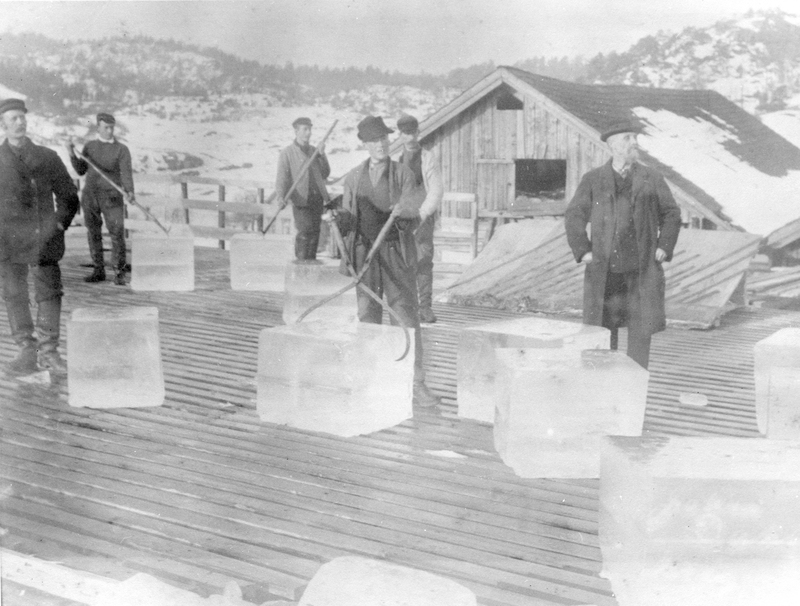 Ice was collected from local canals and lakes in winter and stored, but it was often unclean, and supply was inconsistent. 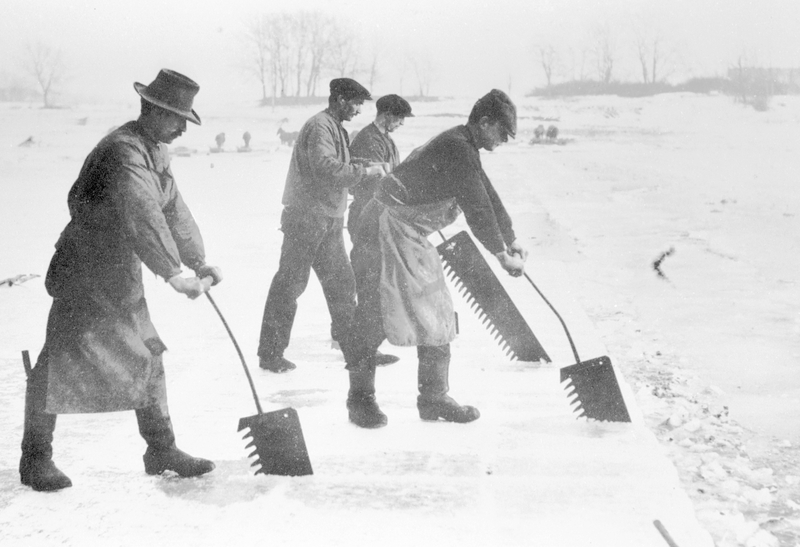 Leftwich was one of first people to recognise the potential for profit in imported ice: in 1822, following a very mild winter, he chartered a vessel to make the 2000km round trip from Great Yarmouth to Norway to collect 300 tonnes of ice harvested from crystal-clear frozen lakes, an example of “the extraordinary the lengths gone to at this time to serve up luxury fashionable frozen treats and furnish food traders and retailers with ice” (as put by David Sorapure, our Head of Built Heritage). The venture was not without risk: previous imports had been lost at sea, or melted whilst baffled customs officials dithered over how to tax such novel cargo. Luckily, in Leftwich’s case a decision was made in time for the ice to be transported along the Regent’s Canal, and for Leftwich to turn a handsome profit. The Museum of London Archaeology team unearthed the Ice House in 2015 as part of the redevelopment of Regent’s Crescent, iconic Grade I Listed mews houses originally designed by John Nash, architect to the Prince Regent (later King George IV). The original 1819 structures were destroyed by German bombs during the Blitz and replicas were built in their place in the 1960s. The new development will recreate the originals in exhaustive, period-accurate detail. The Ice House will play an important role in the redevelopment. It is being restored as the Crescent is being reconstructed. 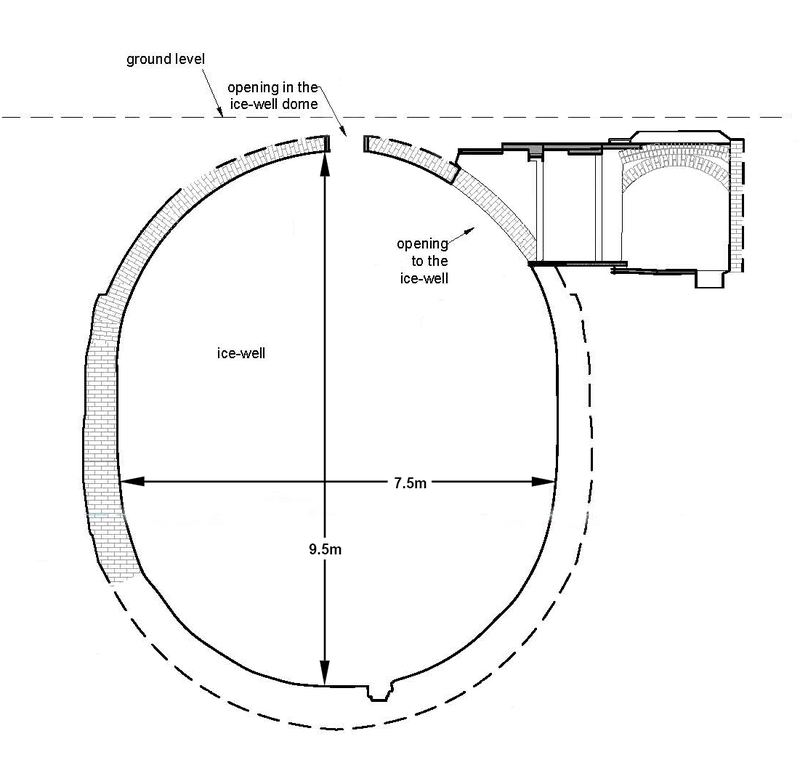 The restored Ice House will be integrated into the Crescent’s gardens. The plan to install a viewing corridor so the remarkable building will be accessible to the public. More than a century after it was lost, a 3rd century B.C. 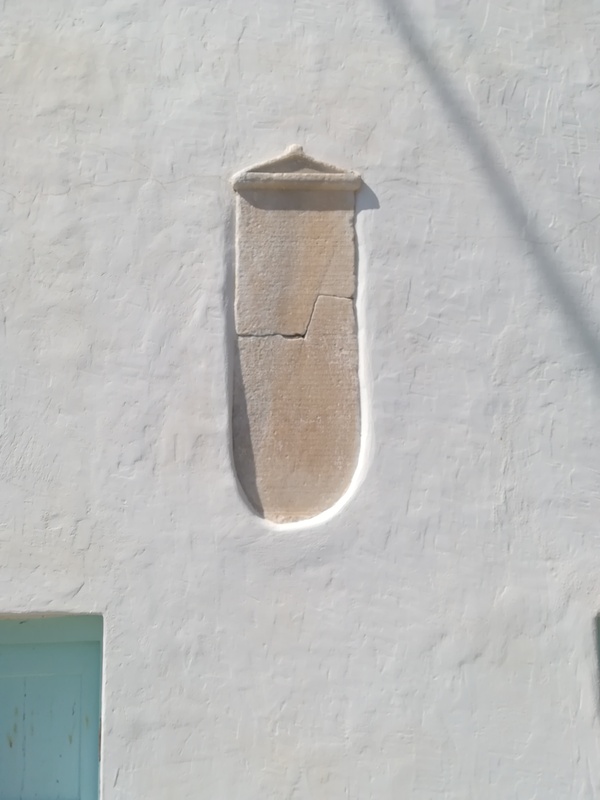 stele has been rediscovered embedded in the outer wall of a home on the island of Amorgos in the Cyclades. The Nikouria decree went missing in 1908 and many researchers have tried and failed to find it ever since. An archaeology student, Stelios Perakis, and archaeologist N. N. Fischer found the piece with the help of local residents. 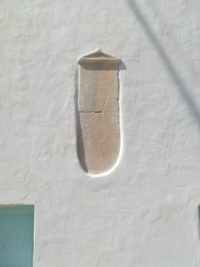 French archaeologist Théophile Homolle, then director of the French School at Athens, discovered the stele in 1893 in the Panagia Church on the islet of Nikouria in northeastern Amorgos. The inscription records a response to Ptolemy II Philadelphus’ request that delegates be sent to Samos to discuss the Island League’s participation in the games and religious rites in honor of his father Ptolemy I Soter. Ptolemy, friend and general to Alexander the Great and ruler of Egypt after his death in 323 B.C., had “liberated” (really it was more of a take-over) some of the city-states of the Cyclades, restoring their ancient constitutions and repealing their taxes. There’s been a lot of debate among scholars about the dating of the Nikouria decree. The first date proffered in 1895 was ca. 285-3 based on a reference to Ptolemy II’s accession to the throne, but Ptolemy didn’t conquer Samos until after his victory in the battle of Kouroupedion in 281 B.C . Later scholars shifted the range to the 260s B.C., likely 262 when the Ptolemaieia was held. The specific stele is considered important since it provides evidence concerning the balance of power during the first half of the 3rd century BC and the transition of control from the Macedonians to the Ptolemies. Belying its significance, the stele was not kept in a secure location after is discovery. It was stashed in a stable near the find site for years. That stable was its last known address when all records of its ceased in 1908. 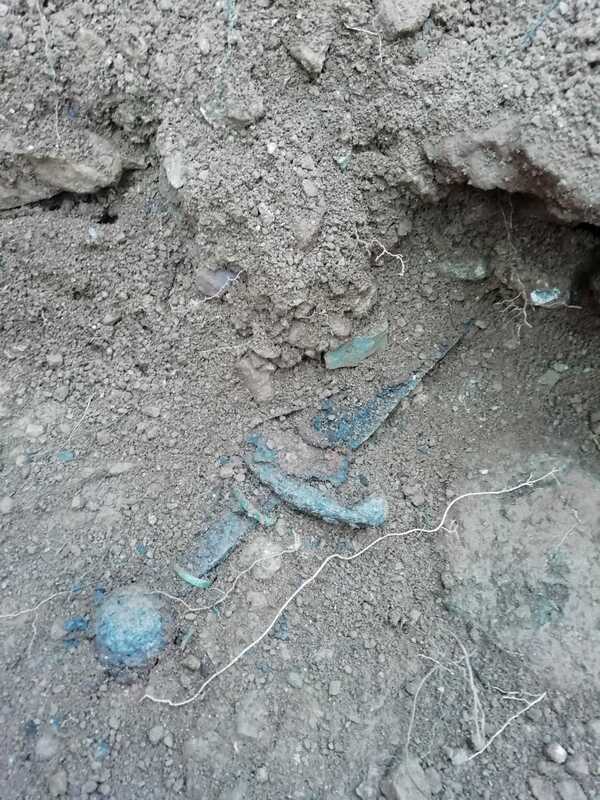 It was found again in the wall at a newly renovated home which had once belonged to Stamatis Gripsos, a shepherd from Nikouria. Perhaps he had access to the barnus delicti. The Nikouria decree will now be removed from the wall and moved to the Amorgos archaeological collection. A Megatherium americanum skull fragment collected by Charles Darwin in 1832 has been rediscovered and its two pieces digitally reconnected in a 3D model. When Darwin found the specimen on a beach in Argentina, it was encased in rock (ie, the matrix) which made it difficult to see the details of the fossil. Darwin thought it was a Megatherium skull, but he couldn’t be certain. He sent it to the Royal College of Surgeons (RCS) where Richard Owen, the first Director of the Natural History Museum, applied the Gordian Knot solution and sliced the specimen in two parts. In so doing he revealed a cross-section of the teeth was able to confirm that it was indeed a Megatherium skull fragment. The two pieces were eventually separated — the larger remaining in the RCS collection, the smaller winding up at Down House, Darwin’s home — but the destination of the smaller piece was poorly documented and the connection was lost. The divided skull came back to the fore when researchers at the Natural History Museum were researching the three Megatherium specimens as part of a project with the ambitious goal of digitizing Darwin’s full collection of mammal fossils. They went way back to the journals of Darwin’s Argentina trip to identify the three specimens, but the the divided one didn’t match his description because of Owen’s cut. Records explained that it was a cross-section but not where the smaller piece was. They could find no records referring to it past 1845. On September 4 2018, both parts of the specimen were brought to the Museum where 3D specialist Kate Burton scanned both fragments using a 3D surface scanner. This scan is the first time that these fragments of the same Megatherium skull have been united in over 150 years. By scanning both fragments of the specimen, the Museum is able to make these vitally important specimens accessible to all, from scientists and educational groups to artists and enthusiasts across the globe, inspiring the next generation of natural world ambassadors. The new scans were released on November 24th to celebrate the 159th anniversary of the publication of On the Origin of Species. Here is the Megatherium, both parts viewable together and apart so you can view the teeth in cross-section. Oh and they have an aurochs skull! I do love an aurochs skull. They have three specimens, actually, all of them digitized. None of them were collected by Darwin, but this one, which was found near Atholl in Perthshire, Scotland, was documented by Richard Owen in 1846. 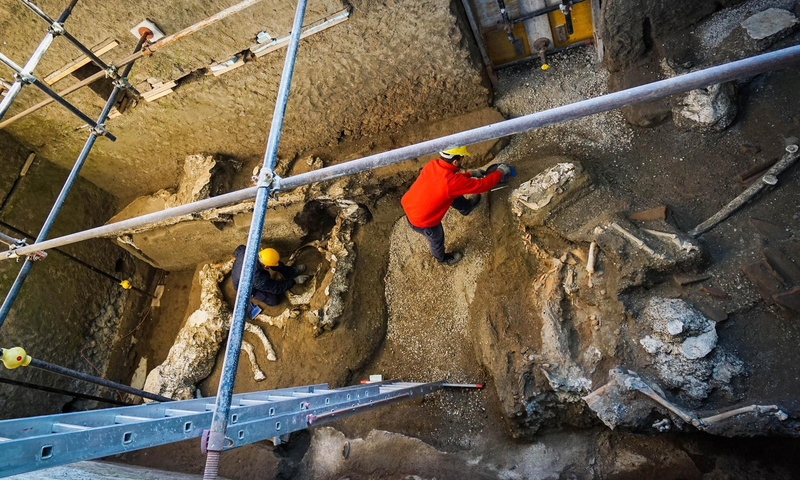 The skeleton of a horse who died wearing an elaborate harness and saddle have been unearthed at an elite villa on the outskirts of Pompeii. 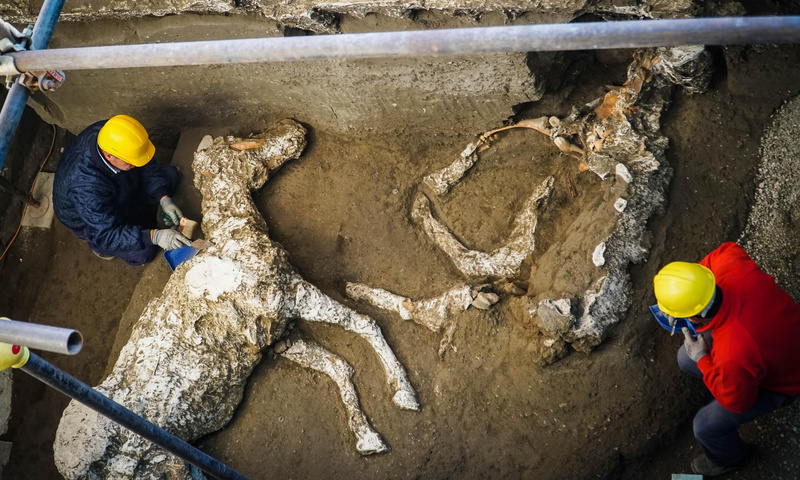 This is the third set of horse remains discovered at the estate north of the city walls, the first of which was the first confirmed horse ever found at Pompeii. Excavations began last March as an emergency response to looting activity. Tunnels dug underneath the villa by thieves were endangering the archaeological material. The dig brought to light a series of service areas of the grand suburban villa with artifacts preserved in exceptional condition. Amphorae, cooking utensils, even parts of a wooden bed were recovered, and a plaster cast was made of the entire bed. One of the service areas that could be identified is the stable. Archaeologists unearthed the first horse lying on its side and were able to make a plaster cast from the cavity the horse’s body had left in the hardened volcanic rock. They then unearthed the legs of a second horse. 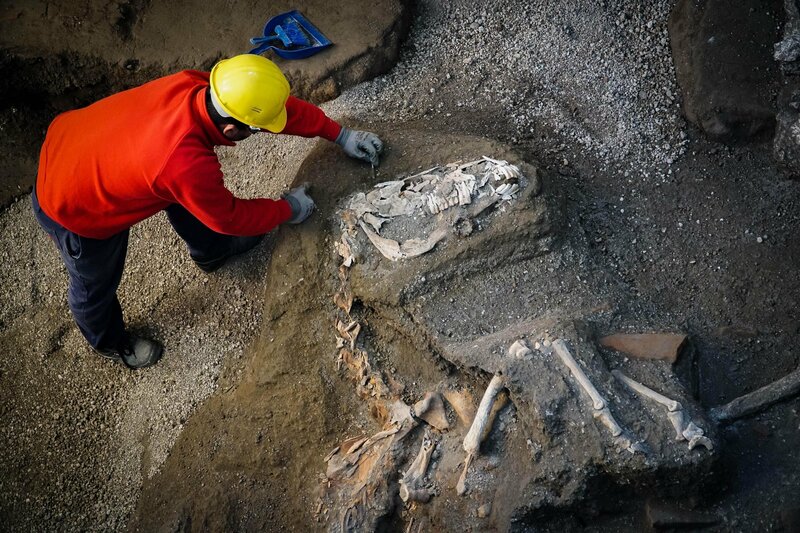 This year the team excavated the rest of the stable, revealing the rest of the remains of the second horse and the skeleton of a third complete with its harness. The former was found lying on its right side, skull on top of the left front leg. It was next to charred wood pieces from a manger (also cast in plaster). The position suggests that the poor horse was tied to it and could not get away when Vesuvius’ pyroclastic fury hit the stable. 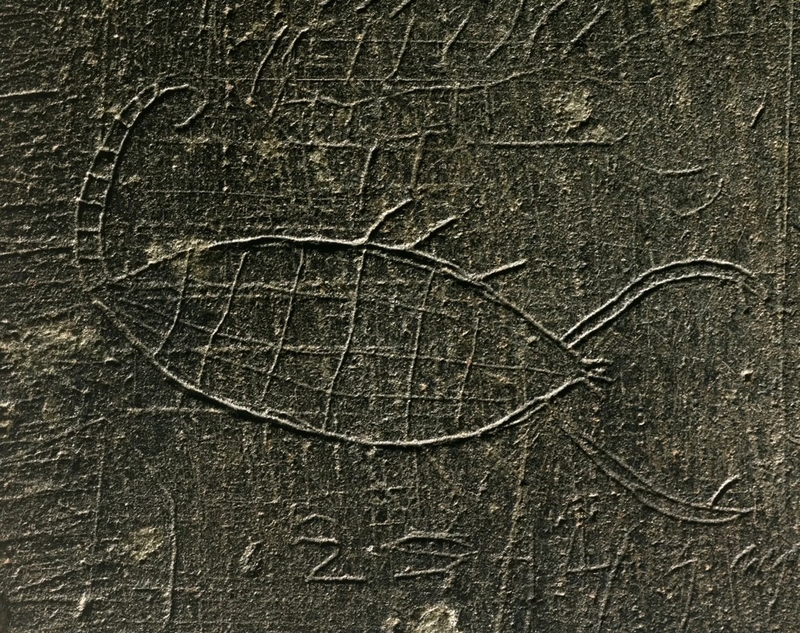 The third horse was found on its left side, an iron bit clenched between its teeth. The looting tunnels exposed the cavity and cementified it made it impossible to make a plaster cast of it. 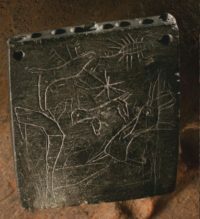 The excavation of the third horse revealed five bronze objects: four wood pieces of half-moon shape coated in bronze found on the ribs, one bronze piece made of three hooks riveted to a ring connected to a disc. It was found under the belly near the front legs. The shapes and design of these parts suggest they were part of a saddle that is described in ancient sources. It was a wooden structure with four horns, two in the front, two in the rear, covered with bronze plates. This firm saddle gave the rider stability in an era before stirrups. Saddles of this kind were used from the early imperial era particularly by members of the military. The ring junction, four for each harness, were used to connect leather straps to the saddle horns. This was rich, expensive tack that would have belonged to someone of very high rank. The artifacts found strongly indicate that this horse belonged to a Roman military officer and had been saddled likely in the hope of escaping the eruption. Vesuvius got to human and equines before they had a chance. Okay so technically they’re clones, but they were grown from cuttings instead of cooked up in a lab, so that totally counts. The hollies look glorious now thanks to the love and attention of Historic Royal Palaces gardeners. They were in tragic condition when they were first rediscovered in the Privy Garden of Hampton Court Palace in 1995. There were three holly trees found to be originals from the reign of William III and the centuries had taken a hard toll. They had to be chopped down, alas. Before they were felled, cuttings were taken so that William’s hollies might live on. The Privy Garden at Hampton Court Palace is one of the most accurate period reconstructions of a garden out there, thanks to the very detailed records that have survived describing the garden of 1702. The reason we know so much about the construction of William’s baroque garden is that the king died in March of 1702 before the garden was completed, so the landscapers and workmen tasked with building it included unusually specific descriptions of what they had done in their invoices to ensure they would be paid. Because of this entirely understandable paranoia, Historic Royal Palaces landscapers were able to restore the Privy Garden of 1702 using the exact plant varieties, long and handsome hornbeam bower, wrought iron screens and statues as designed and commissioned by William III. 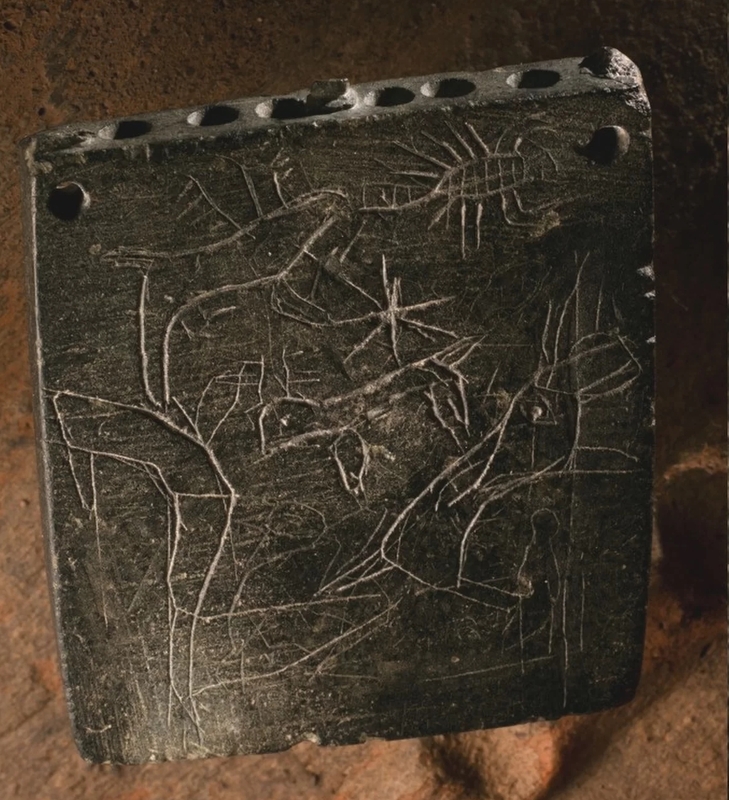 An Aramaic inscription discovered at the ancient site of Sam’al, modern-day Zincirli in southern Turkey, describes how to capture the evil “devourer” to liberate a victim from its “fire.” The inscription was made on a cosmetics pot that predates it and was reused for the purpose. It was inscribed on the vessel between 850 and 800 B.C., making it the oldest Aramaic incantation ever found. The incantation was written by a magician named as Rahim son of Shadadan. It tells how the blood of the devourer could be used to treat people suffering from the devourer’s fire. The directions do not make it clear whether the blood would be used to make a potion to be drunk by the afflicted or if it should be smeared onto their body. The illustrations suggest that the “devourer” may actually be a scorpion or centipede; as such, the “fire” may refer to the pain of the creatures’ sting, Richey told Live Science. University of Chicago archaeologists, who have excavated the site for the past four years, discovered the artifact in August 2017 in a small structure that may have been a shrine or had some religious function. 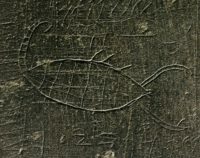 The incantation had to have been of some importance because the structure is more than a century younger than the inscription, dating to the late 8th or 7th century B.C., which means it was deemed significant enough to be kept for generations after it was engraved. In addition to the incantation, another piece more ancient than the building was find inside of it, a black stone crouching lion with red stone inlaid eyes. It dates to the 10th or 9th century B.C. when it was used as the base for a metal figurine of a striding individual, perhaps a deity. Sam’al has been occupied going back at least to the Bronze Age. During the time when Rahim was engraving his how-to guide, it was the capital of an Aramaean Neo-Hittite kingdom that began as a city state around 900 B.C. and expanded to encompass a few neighboring territories. It had massive outer defensive walls, a monumental palace and city gates with elaborate stone reliefs. With the rise of the Neo-Assyrian Empire, Sam’al was conquered around 720 B.C. and became first a vassal state, then a province. Here’s where I admit that yesterday’s post was a stealth preview of coming attractions, for today I went to the Clark and saw Brutus Condemning His Sons to Death in person. It’s in a small room just off the 18th/early 19th century French art gallery with the preparatory drawing and engraving that were part of the same auction lot with the painting itself. The oil painting of Brutus is hanging on the back wall, the focal point when you walk in or walk by the gallery. Against the left wall is the preparatory drawing; against the right wall is the engraving. 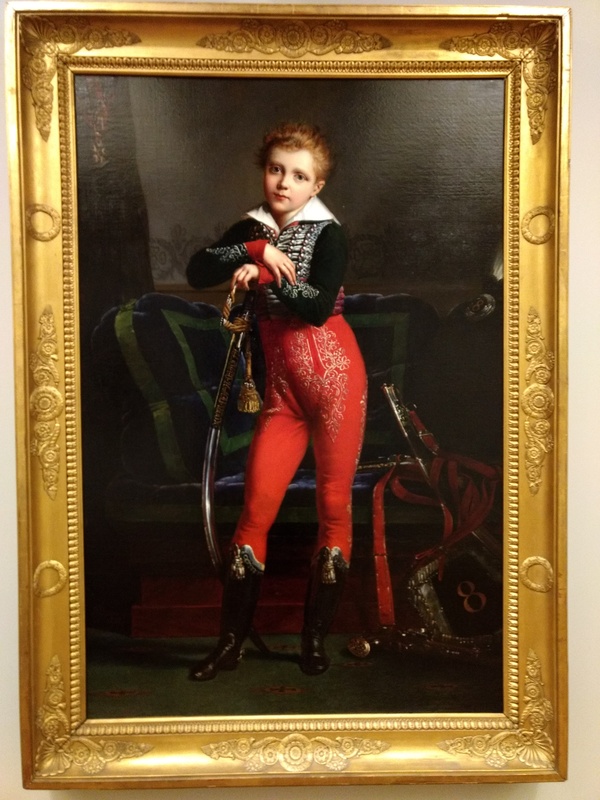 Meanwhile, in the main room of the French gallery, last year’s handsome young fella, Portrait of Achille Deban de Laborde (1817) by Alexandre-Jean Dubois-Drahonet, has been moved slightly a couple of spots away from its previous location. I approve heartily as it is now possible to take a picture head-on without the glare from the lighting. Last year awkward angles were required. Last but certainly not least, I learned a new word today courtesy of the outstanding exhibition Turner and Constable: The Inhabited Landscape. As the name indicates, the show focuses on landscapes which both men painted with distinctive mastery. 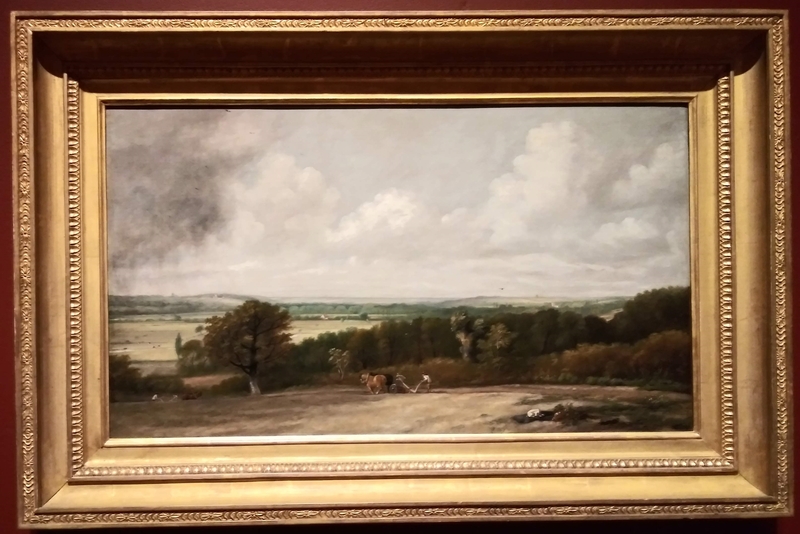 Unlike many other landscape artists, however, when JMW Turner and John Constable included people in their landscapes they did so with very deliberate meaning instead of as mere indicators of the scale and perspective. Using people in landscapes to indicate scale is called staffage, pronounced in French like stahf-AHJH. I did not know that. Be warned, I intend to put it to use in numerous tortured metaphors going forward. Here’s an example from Constable. It’s called Ploughing Scene in Suffolk (1824-1825) and even though the human figures are small in the broad vista of farmland, they are absolutely pivotal to the theme. The position of one of them in the dead center of the painting underscores his importance, as does the care Constable took in depicting the plough in precise detail. Ergo, farmers ploughing are not staffage. 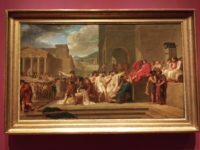 After seven months of conservation and more than two centuries of private ownership, Brutus Condemning His Sons to Death by Guillaume Guillon Lethière has gone on public display at the Clark Art Institute. The neoclassical painting depicts Lucius Junius Brutus, leader of the revolt against Lucius Tarquinius Superbus, the last king of Rome, and founder of the Roman Republic, stoically watching the execution of his sons for conspiring with the Tarquins to restore the monarchy. One son has already been decapitated and the executioner is holding the severed head aloft before the crowds. Lethière was born in 1760 in the French colony of Guadeloupe, the illegitimate son of government functionary Pierre Guillon and Marie-Françoise Pepayë, a mulatto former slave. His last name is actually a reference to his birth order. He was his father’s third illegitimate child. While Guillon would not officially recognize his son until 1799, he was very much involved in his life. 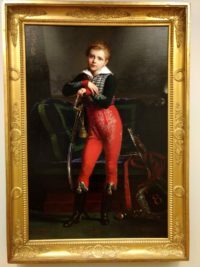 The young Guillaume moved to France with his father when he was 14 and enrolled in the Academy of Rouen, a tuition-free art school founded by Jean-Baptiste Descamps. His talents were quickly recognized and in 1777 he enrolled at the Académie Royale in Paris in the studio of Gabriel François Doyen. He competed for the Prix de Rome twice and lost, but made such a strong impression with the wealthy, noble and connected Comte de Montmorin that the count secured him the pension and stay at the French Academy in Rome that the prize would have given him. 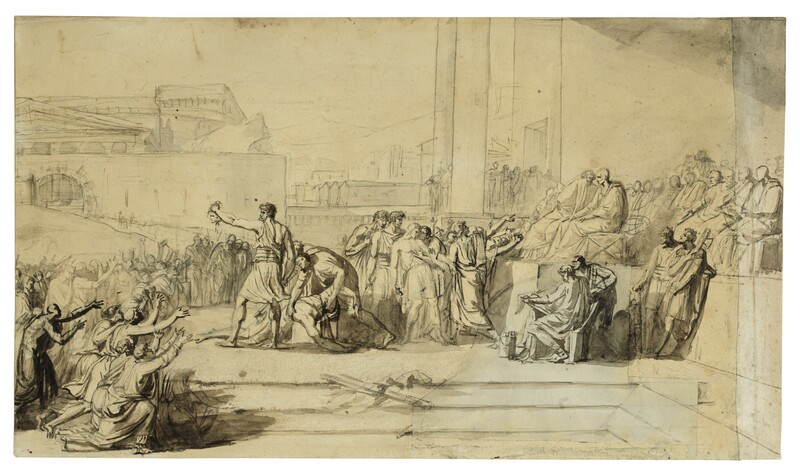 It was in Rome, fittingly enough, that Lethière created Brutus Condemning His Sons to Death. 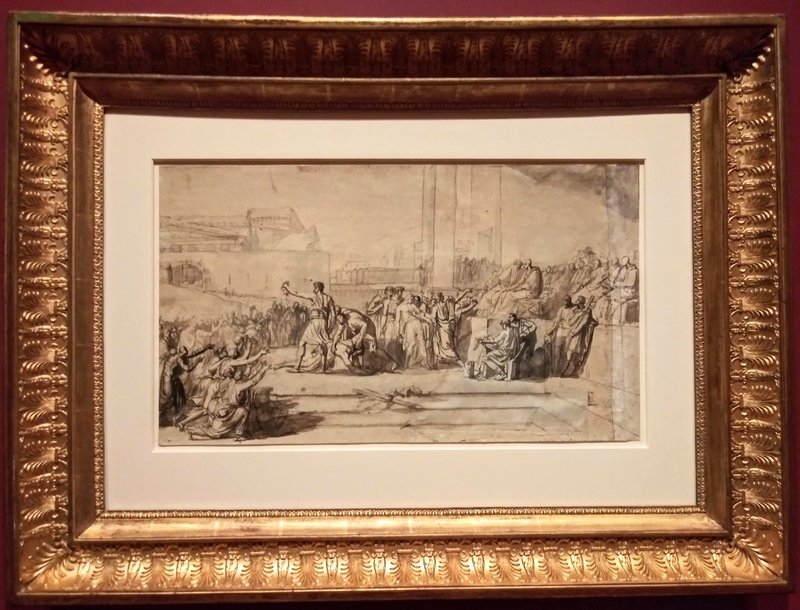 He was a fervent neoclassicist by then, having eschewed Doyen’s Baroque style in favor of Jacques-Louis David’s integration of Enlightenment political principles in scenes from classical antiquity. 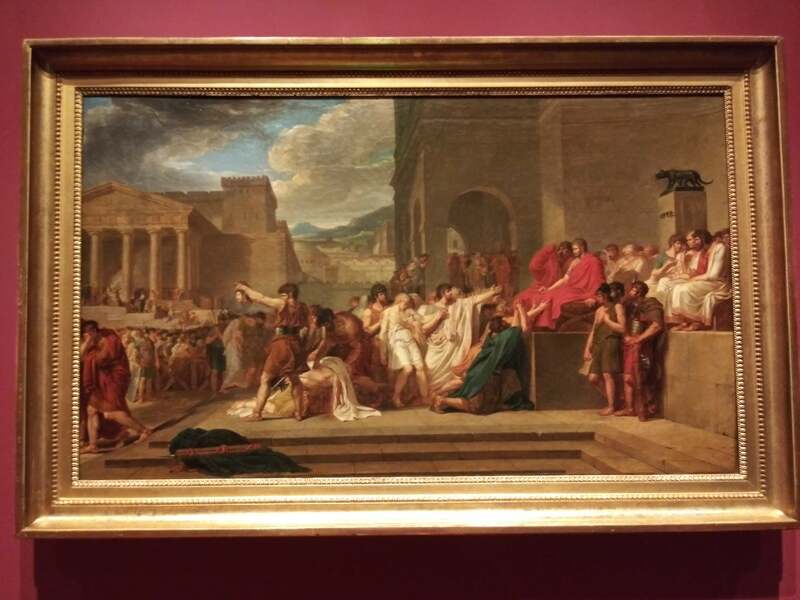 Painted in 1788, Lethière’s vision of the Brutus story pre-dated David’s famed The Lictors Bring to Brutus the Bodies of His Sons by a year, and what a year was there, my friends. In 1789, the Bastille fell, the Declaration of the Rights of Man and of the Citizen was passed and feudalism was abolished. Even so, David’s far less gory version of the execution of the Brutus sons caused consternation among the authorities. They thought its vision of Republican honor against tyranny even at enormous personal cost might incite anti-monarchical passions. And there are no decapitated heads held proudly aloft in that one. That horrible sight would become a common one when the Reign of Terror started in 1793. When it ended with Robespierre’s execution a year or so later, 17,000 people had been executed. That’s a lot of heads held proudly aloft. 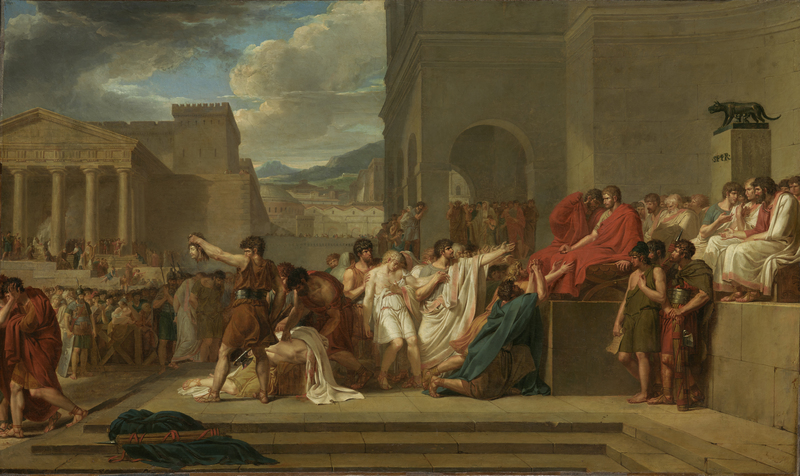 The year after that, Brutus Condemning His Sons to Death was exhibited in the Paris Salon of 1795. It was shown again in the Paris Salon of 1801. It elicited negative reviews both times; the explicit violence made people uncomfortable. The painting would not be seen in public again for almost two hundred years until it was loaned for an exhibition dedicated to Guillaume Guillon Lethière in Point-à-Pitre, Guadeloupe, in 1991. After that it made two appearances at the Musée de la Révolution Française, one in 1992, one in 1996, and that’s it. In the 230 years since its creation, it has been exhibited for a grand total of six months. Now it is finally on display for good.